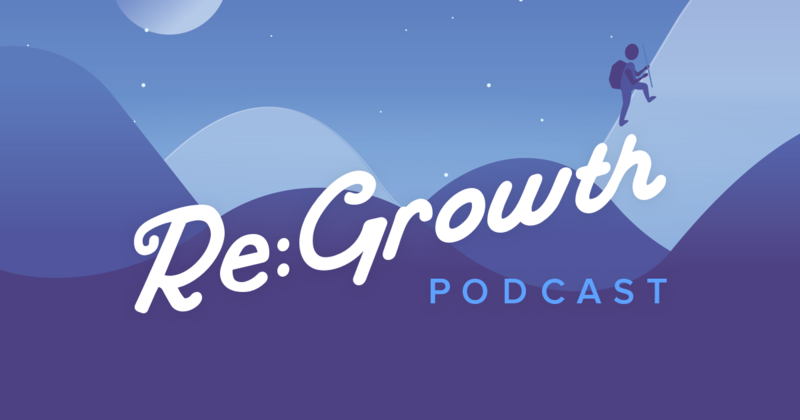 A few weeks ago, our team released Season 1 of Re:Growth, a podcast for B2B marketers looking to level up their campaigns and careers. This was our first podcast ever, and we learned a lot throughout production and launch. We made some good decisions, some bad decisions, and some decisions we will never, ever make again. Instead of keeping our learnings to ourselves, it seemed fitting to record and release our retrospective so the world could learn from our mistakes. You can listen to the episode on the Re:Growth website, or keep reading to learn all the mistakes we made when we launched a podcast. Ideally, your podcast focus will be narrow enough to stand out while also overlapping with a subject area that your company can be authoritative in. Re:Growth exclusively focuses on B2B marketing strategy. 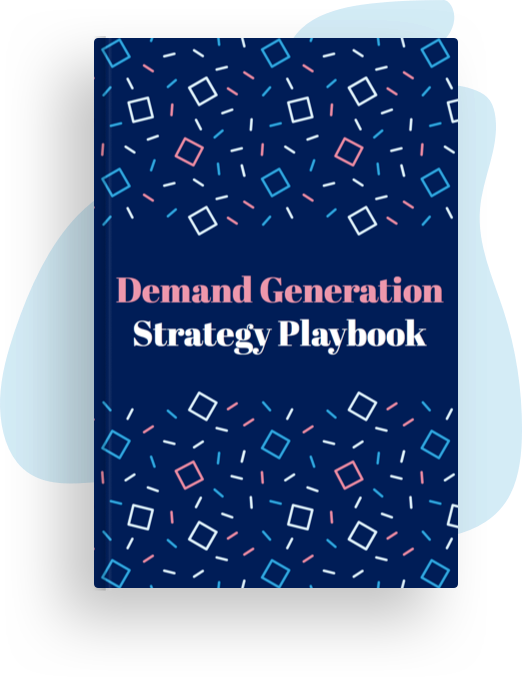 We picked this niche because our sales team predominantly works with B2B marketers and most of the content out there caters to our B2C counterparts. Picking a topic early on narrowed who would be interested in Re:Growth, but it also meant our podcast would be stickier to people with deep interest in B2B marketing. Since B2B marketers are our ideal sales audience, we were fine with that (more on that later). But here’s a warning: sticking to a narrow focus will feel like a constraint. We had to constantly remind ourselves not to invite B2C guests on the show while also fighting against the secrecy and competition that often clouds information sharing in B2B. At the end of the day, we launched with six episodes in Season 1. It’s fewer than we had originally planned, but we’re thrilled with the stories and advice that each guest shared. Season 1 of Re:Growth features in-house marketers at medium-to-large tech companies. Clearly, there’s a lot more ground to cover in the B2B marketing world. If we were to do Season 1 over again, we’d want to interview marketers at agencies and smaller companies. These folks would have a wildly different perspective on marketing and what it looks like, which would ultimately offer more value to listeners. In future seasons, we’re planning on filling this gap. You can learn from this mistake by making a list of all of your ideal guests before jumping into recording. Then, see if there are obvious oversights in perspectives or backgrounds. This will lead to less overlap in opinions and a more interesting podcast. Re:Growth episodes don’t have a lot of conversation in them because we wanted to make sure people could finish an episode in a single listen. Our goal was 30 minutes per episode. Some listeners really liked the speed and how episodes were condensed into only the best information. Others found it lacked conversation and banter. Before you start editing a podcast, it’s important to think about the editing style that works for you and your audience. If you don’t have an in-house editor, you might not have resources to polish each episode. If your brand is relaxed or witty, that style should obviously carry over to your podcast. Pick an editing style and stick to it. Not every podcast is for everyone, and I guarantee you’ll get feedback no matter what you choose. I’ll be blunt: our editing process was really inefficient. We went back and forth between getting things edited externally and handling things ourselves. This process wasted a lot of time, so I was writing accompanying blog posts while the episodes were still being edited. I ended up duplicating a lot of work by listening to audio for blog posts, then to edit, then to transcribe instead of creating a final audio version first. To save yourself hours, decide on your editing process after your first recording and create a process from there. The most streamlined approach is to finish editing audio, transcribe it, and then create secondary content based off of the final transcript. A few weeks before launch, our team sat down and created a list of all of the channels and tactics that we wanted to use to promote the podcast, along with timelines and assets needed for each of those things. Our simple Google Sheet saved a lot of stress on launch day, since we already knew exactly what we wanted to do, who was responsible for each task, and when each thing needed to get done. Our strategy covered everything from launch day to six weeks later including a schedule for promotion, roundup articles, and other assets. This really helped keep us accountable and gave us plenty of flexibility in case more ideas popped into our heads. As part of that podcast launch strategy, we knew we needed to make it easy for our guests to promote episodes within their networks. Let’s be real, no one wants to scrub through 30 minutes of themselves talking to write a quippy tweet. So on launch day, we sent each guest an email with social media-optimized images and suggested posts to remove any friction about posting about Re:Growth online. Our guests were seriously impressed with this, and it helped us leverage their influence to speed up our growth curve. If you’re interviewing members of your target audience, you can—and should—slip in questions that benefit your sales and marketing teams. Unless you’re doing a live podcast, these can always be cut from the episode if they aren’t on topic. How do you move this outside of your unit? How do you measure performance for this type of activity? How do you decide between this and that? Use these answers to build out personas and improve your sales strategies. This type of research might also make it easier to get management buy-in for a podcast, which often gets pushback because of lack of attribution and resources. We got so busy with recording and editing Re:Growth that by the end of the season, we realized we weren’t keeping track of answers to persona questions. Here’s a big lesson you can learn from our mistakes: keep track of when you’re asking these questions and note answers after every recording. It’s really hard to point back to specifics later on if you’re not doing this as you go. It’s an excellent question that we got several times during Season 1 of Re:Growth. Having Matthew host Re:Growth led to in-depth, relaxed interviews with our guests. As a tangential perk, this choice also brought our marketing and sales teams closer together by creating a cross-team project that built trust and helped us get to know each other better. So, if you’re feeling shy about hosting a podcast or have someone else who would do a great job, consider bringing them onto the podcast dream team. This collaboration can only be good for your company in the long run. If you’ve listened to Re:Growth, you already know why Drift’s Dave Gerhardt loves LinkedIn videos. We decided to give them a try to promote the launch. 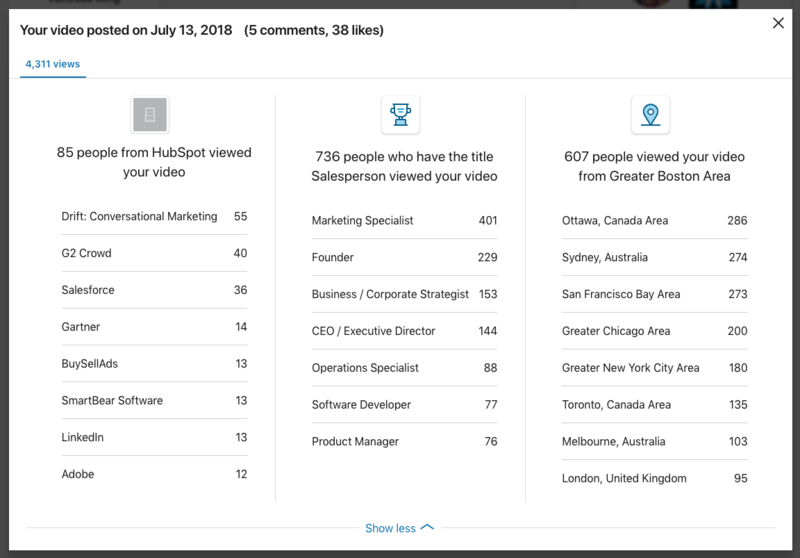 Josh, Matthew, and I each filmed a short video and posted it to LinkedIn to see what would happen… and the results were eye-opening. Thanks to LinkedIn’s video analytics, we saw pretty quickly that we were reaching our target audience. Below is a screenshot of my results. Matthew and Josh had similar demographics with views from Atlassian, New Relic, Synthio, Salesforce, and more. If you’re hoping to reach a B2B audience, give LinkedIn a try. At the very least, the video analytics are a neat way to measure your reach. We dropped all of Season 1 at once, kind of like how Netflix shares its shows. We wanted to make it easy for people to listen to episodes whenever they felt like it and drive a lot of attention on launch day. Mission accomplished… but we had nothing else to share with people who ended up subscribing. If we did it all over again, we’d launch with 3 or 4 episodes and hold back the others to build excitement and give people a reason to subscribe. It wasn’t until we started editing episodes that we realized Matthew had been recording in front of a huge window. If we had tested the sound properly, we might have realized that he was recording in an echo chamber. Sound quality on podcasts is so important—if there’s too much ambient or background noise, it’s hard to focus on what’s being said. On that note, you should also help your guests with set up on their end. Only one of our guests had an external microphone available, and most didn’t know which room type would be best for audio recording. Thankfully, none of our interviews came out poor quality. But if you run proper tests or can be in person with your guests, that will lead to better sound. We’re a remote company. We were never in the same room when we recorded episodes, and Matthew was never in the same room as the guests. You can lean on technology to bridge this communications gap. We used a Slack channel between the three of us as a place to share follow-up questions and give production directions to Matthew during the recording. We also used a double-end recording tool called Zencastr to pull audio from local microphones instead of recording a Skype call. This led to better sound quality and made it easy to edit separate audio tracks later on. We’re busy planning and recording Season 2 of Re:Growth right now. Do you have any feedback or guests you’d like to hear from? Let us know! You can reach the whole team at @BuySellAds on Twitter. PS - You can listen to all of Season 1 on your favorite podcast app or the Re:Growth website.